Darwin Digital designs, develops, and provides full service support for websites built on the WordPress and Kirby content management systems (CMS). From Swiss origin, we have worldwide clientele and several offices across the globe. We can help you with your new website or your current website from anywhere in the world. Darwin Digital is a Swiss Digital Agency that designs, develop and maintains websites that are built upon WordPress and Get Kirby. Depending on the needs of your business and your customers, our developers will recommend a solution that works for your case while in the meantime our UX and UI designers will enchant you with their design. Compared to WordPress, Get Kirby is flat-based and does not require a database. If you are looking for a fast, but foremost static website, we highly recommend you to explore the CMS Get Kirby. We are specialists in WordPress and Kirby CMS. Our developers know both CMS’s like the back of their hand. We have delivered ample beautifully designed, responsive and scalable websites suitable for SEO. Our developers are extremely comfortable with using these CMS to build a personalised website that fits in with your needs. We have extensive experience in creating custom websites and WordPress plugins, managing and maintaining fully customised WordPress and Kirby websites and blogs. 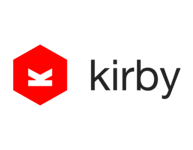 Kirby (or Get Kirby) is a flat-file or flat-based CMS: this means it does not require a database or a server-side connection and is therefore quick and easy to migrate. In simple terms, Kirby is streamlined, with extremely fast downloads and no server queries, making it a perfect solution for mobile-first websites. 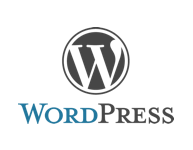 Powering almost one-third of all Internet websites, WordPress is the most widely used content management system. Our teams of WordPress experts have an extensive experience in creating, managing and maintaining fully customized WordPress websites and blogs. We create beautifully designed, responsive and scalable websites suitable for SEO.